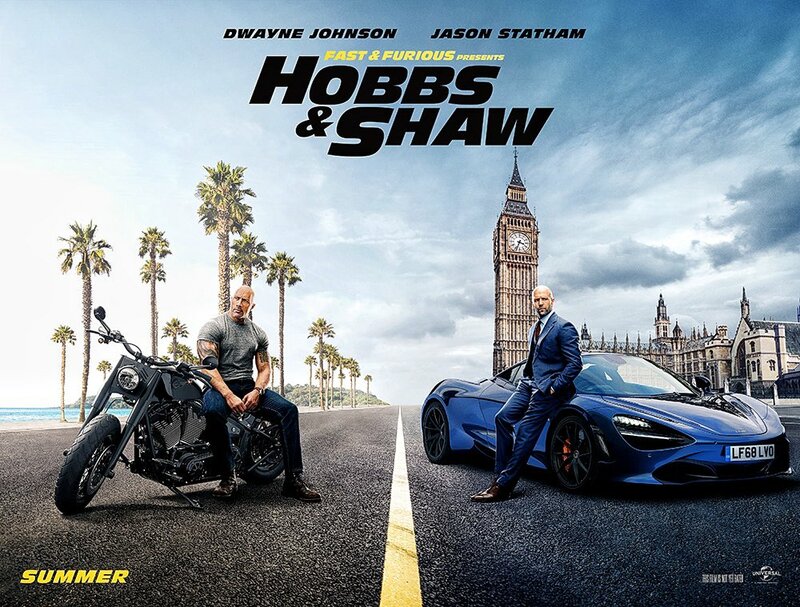 A spin-off of The Fast and the Furious franchise that might have simultaneously broken-up the Furious family, Fast & Furious Presents: Hobbs & Shaw sees Dwayne "The Rock" Johnson's US Diplomatic Security Agent Luke Hobbs forming an unlikely alliance with Jason Statham's Deckard Shaw. The two had some electric chemistry when they were finally allowed to face one another on screen in 2017's The Fate of the Furious, but no one expected-least of all Vin Diesel and (apparently) Tyrese Gibson-said chemistry to result in an actual stand-alone movie where the hardened secret agent and former villain would team-up to fight what I can only assume is Idris Elba's baddie, Brixton, who no doubt has some nefarious plot to steal a valued piece of technology. Hot off the success of Deadpool 2, the film is directed by David Leitch (John Wick) with a script by Chris Morgan, the franchise’s screenwriting architect since Tokyo Drift. I'm going to be honest, I've kind of fallen hard for this franchise and I need a new chapter in this ever-expanding series of increasingly ridiculous films every couple of years and when I don't see as much coming to fruition it makes me very sad. I'm happy Johnson and Statham are able to collaborate further and have some fun with this spin-off and I sincerely hope it helps boost Johnson's floundering financial reputation (Rampage and Skyscraper were not great for his brand) while only continuing to prove what a global star Statham is (The Meg was no joke), but I'd be lying if I said I wasn't the littlest bit upset that Hobbs' side excursions will be keeping him from the penultimate chapter in the main Fast and the Furious series of films if it is to remain true that Diesel and the gang call it quits after Fast 10. Only time will tell how as much pans out, but for now Leitch, Johnson, and Statham seem to have crafted more than a worthy distraction. Fast & Furious Presents: Hobbs & Shaw also stars Vanessa Kirby as Deckard’s sister, Hattie, along with Eiza González, Eddie Marsan, and opens on August 2nd, 2019. Synopsis: After eight films that have amassed almost $5 billion worldwide, the Fast & Furious franchise now features its first stand-alone vehicle as Dwayne Johnson and Jason Statham reprise their roles as Luke Hobbs and Deckard Shaw in Fast & Furious Presents: Hobbs & Shaw.